In a cooperative like Crow Wing Power, you are a member-owner of the business. One major difference between a cooperative and an investor-owned utility is that you see an ownership in the business through capital credits. Capital credits return member's margins over and above operating costs. Annually the Board of Directors must evaluate the financial ability to return capital credit checks. In May of 2018, capital credit checks totaling $872,116 were sent to 15,042 cooperative members. The checks were distributed for Crow Wing Power’s portion of allocations that were made to members for the electricity they used for the last half of 1990 and all of 1991. Over $19.4 million has been returned in the past 23 years. Crow Wing Power is looking for previous members that we haven’t been able to locate to give them their capital credit distributions. We have a list of about 8,500 people that have moved and not given us current address information. Therefore, when we send capital credit checks, like we normally do each spring, some checks get returned to us and others may simply go uncashed. We call those unclaimed capital credits. By law, we need to hold those funds for a period of seven years in order to allow people to claim them and after that period of time, we release them, normally to further students higher education. Each year $50,000 to $70,000 in unclaimed capital credits goes to scholarships for college attendance. 1. Click the link above to open the list. 2. On the toolbar at the Bottom Right of the page, click the magnifying glass icon. 3.Type the last name/company name or part of the name you want to search for. 4. Press the "enter" key on the keyboard. Press the arrows to go to the next matching entry. Capital credits are the revenue or margins that are left over after all bills associated with doing business have been paid. The amount of money members receive is based on how much electricity they purchased during the year or years that are being paid out. How often do members receive Capital Credit dividends? 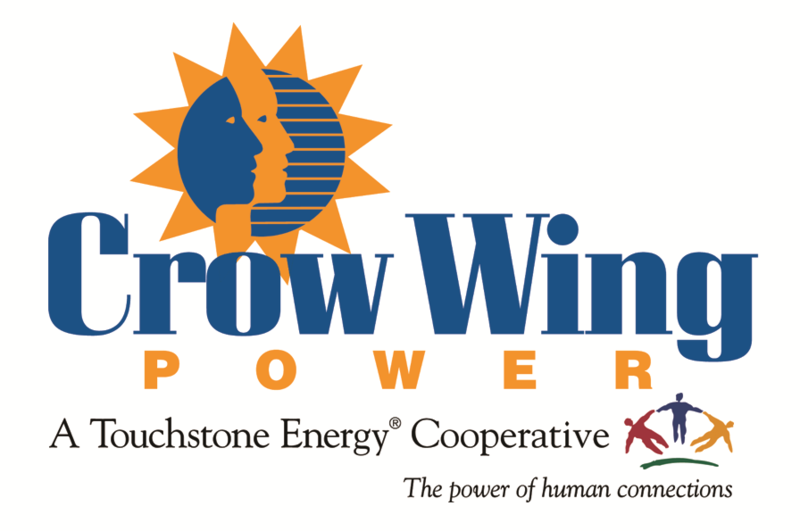 Each year Crow Wing Powers Board of Directors makes a decision on whether to refund capital credits based on the financial health of the cooperative. During some years the co-op may experience high growth in the number of new accounts added or severe storms may result in the need to spend additional funds to repair lines. Both events might cause the Board to defer any capital credit refunds. If you move or no longer have electric service with Crow Wing Power, it is important that you keep your address current with us so that future disbursements can be properly mailed. Capital credits are reserved for members even if they move out of CWP’s service area. Are Capital Credits tax free? In most cases, capital credit checks are not taxable for residential consumers. However, Crow Wing Power recommends consulting your tax advisor for all tax related matters. What if a member is deceased? Capital credits are also paid out to settle estates. Capital credits continue to retire during the scheduled general retirement until fully retired. However, the estate representative may elect to take an accelerated retirement on the capital credits. The calculation for the accelerated retirement is based on the net-present value of money. The Cooperative has determined this procedure to be fair for membership as whole, since the rest of our members must keep their capital credits invested in the Cooperative until retired during the general retirement each year. The heirs/legatees of a deceased Cooperative member have two options to receive the capital credits due to the deceased member. The first option is the general retirement option which will pay the heirs/legatees of the deceased member the non-discounted capital credits according to the normal retirement process of the Cooperative. This means that heirs/legatees will receive the capital credits over an approximate 30-year period as approved by the Board of Directors of the Cooperative each year. The second option is an accelerated retirement of the capital credits of a deceased member to the heirs/legatees of the estate, based on the net-present value of money. In order to assist members in making their selection, the heirs/legatees of a deceased member’s estate can contact the Cooperative and speak to a representative. Crow Wing Power will mail you the information you need to retire the estate. In your packet you will receive details on both options above, a request for a death certificate and an Affidavit for Collection of Personal Property. Once all documents have been completed, they may be brought in or mailed us.